This new 2014 Jeep Grand Cherokee recall pertains specifically to those models which were manufactured between January 8th 2013 and August 20th 2013 with a total of 91,559 sport utility vehicles possibly affected by this problem. In these recalled Jeep SUVs, there is an issue within the electronic control system which – when coupled with loose alternator wires – could lead to a variety of problems including some warning lights on the instrument cluster not working properly, the gauge cluster itself not being properly illuminated and both the antilock braking system (ABS) and electronic stability control (ESC) system not working as expected. Due to these various issues in the right conditions, these 91,000+ Grand Cherokees fail to meet the requirements of the Federal Motor Vehicle Safety Standard No. 101 Controls and Displays and No. 126 Electronic Stability Control Systems. 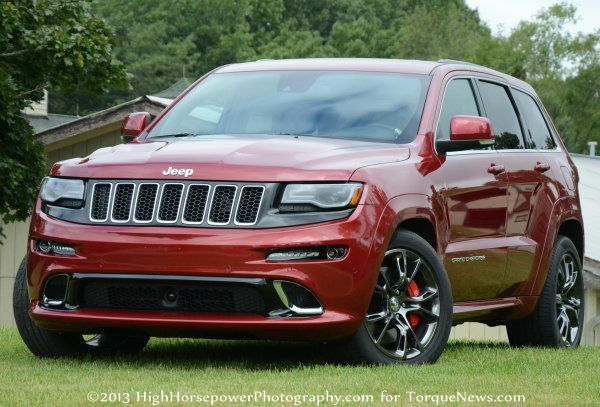 More importantly than the fact that the 2014 Jeep Grand Cherokee does not conform to those government requirements is the increased risk of an accident due to these problems. Normally, when either the ABS or ESC systems fail, the driver will be notified by a warning light in the gauge cluster but since this electric problem affects both the ABS and ESC systems along with the warning light systems, the driver could lose stability control or the antilock portion of the braking system without knowing it. Should either of those systems become needed while driving and they do not work, the driver could lock of the brakes or lose control of the vehicle due to increase instability. Of course, that is in a worst case situation so this new recall doesn’t pose anywhere near as much risk as something like an actual braking system failure but with these systems put in place to keep people safer – having them fail inherently makes these Jeeps less safe. This 2014 Jeep Grand Cherokee recall is expected to begin sometime this month, at which point the owners of those 91,559 SUVs will be asked to visit their local Jeep dealership where a technician will update the ABS and instrument cluster software while also checking to make sure that the alternator wires are good and tight. All of this work will be performed free of charge and with the service being little more than tightening a couple bolts and reflashing one of the electronic control modules, it shouldn’t be a very time consuming trip to the dealership for the owners of these Jeeps. Owners who are concerned about the safety of their 2014 Jeep Grand Cherokee can contact Chrysler Customer Service at 1-800-247-9753 in reference to recall number N58. Mechanically included Jeep owners can check the alternator wires on their own to ensure that they are all tight but with no way to check the electronic control systems – and with the recall service being free – owners of these Jeeps would be wise to make a call and a quick trip to their dealership for some free service.